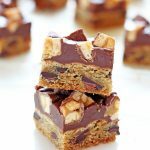 Snickers cookie bars is a chocolate chip cookie base topped with a layer of fudge and sprinkled with chopped Snickers candy. I’m continuing my quest to create desserts using Halloween candy and this week Snickers is the candy of choice. 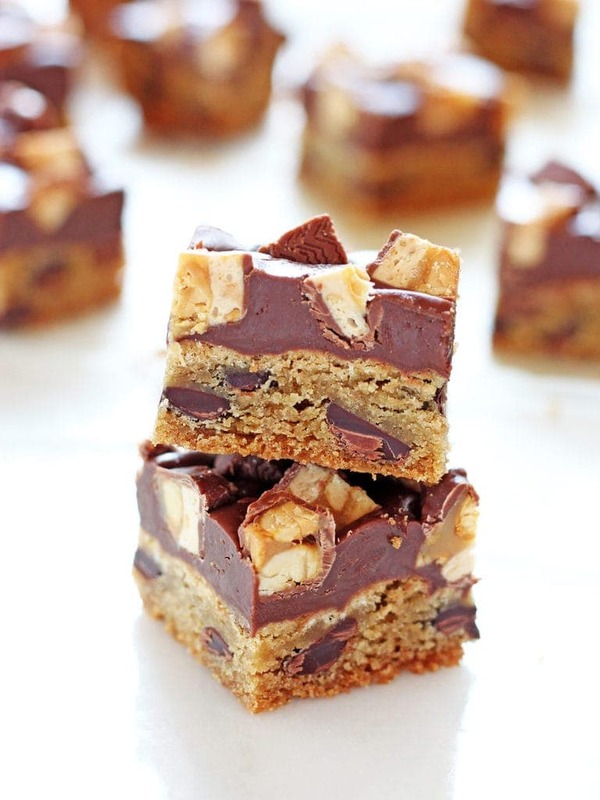 They are chopped up and sprinkled on top of fudge and chocolate chip cookie dough to create Snickers cookie bars! I was trying to wrap my mind around what would be the best way to incorporate Snickers in a dessert. There are endless options, but I really enjoyed adding M&M’s to butterscotch fudge a few weeks ago so I wanted to try a similar method, but slightly more intense. 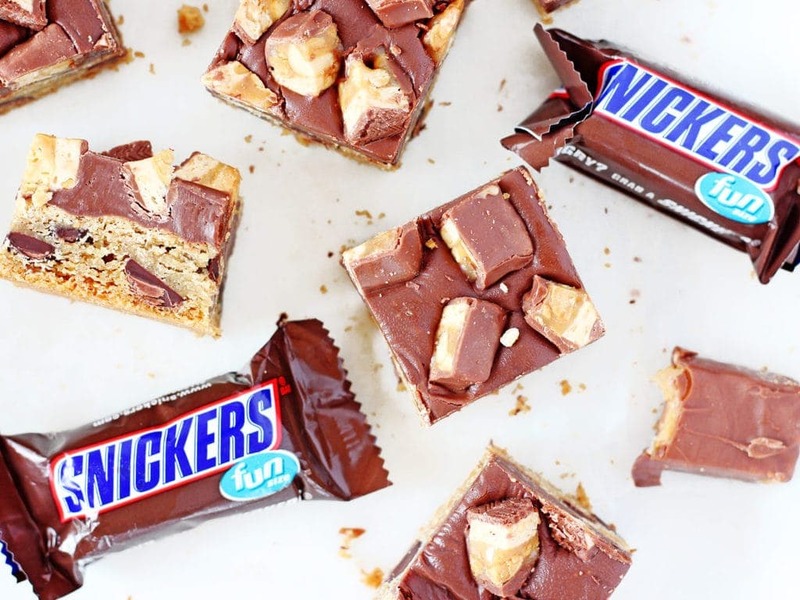 The chocolate chip cookie layer is the perfect base for these Snickers cookie bars. I halved my chocolate chip cookie recipe and simply pressed the dough into a prepared baking pan. 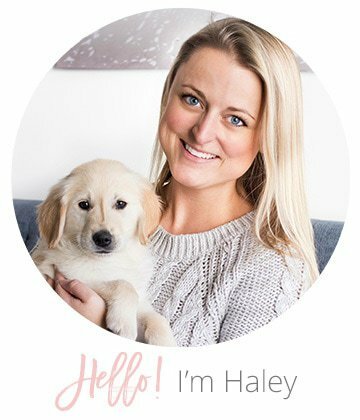 This layer is the only one that needs to be baked in the oven so it creates a sturdy base. On top of the chewy, buttery chocolate chip cookie layer is an intense layer of fudge made with sweetened condensed milk and chocolate chips. It is SO smooth and rich, but not overwhelmingly so. Just the right amount of fudgy chocolately goodness. 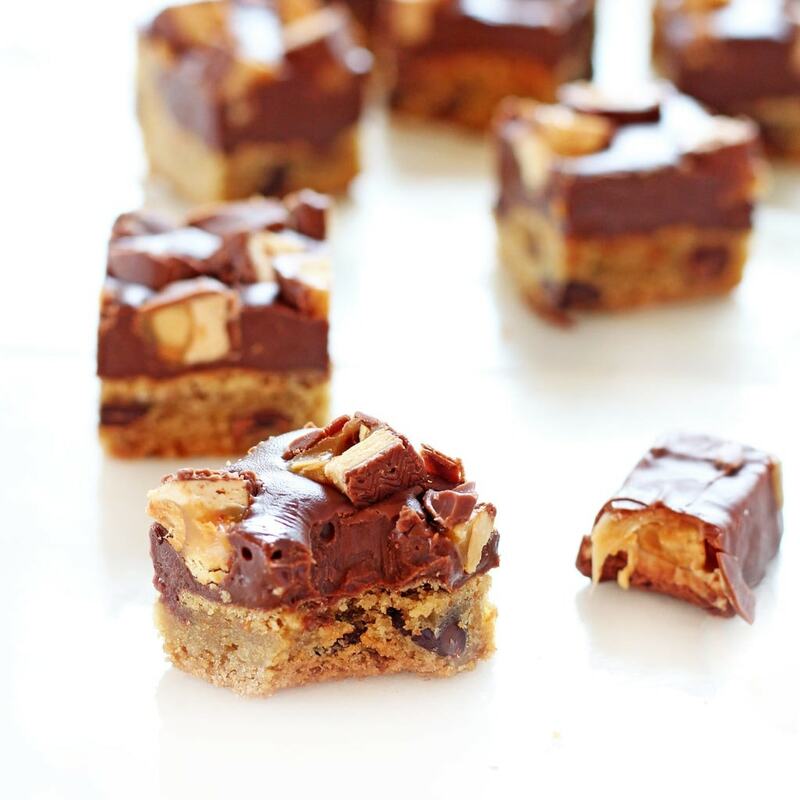 And then… there are the chopped Snickers. I must admit, I had a hard time not shoveling a handful of these bits into my mouth popcorn style. They’re even harder to resist when they’re chopped up and you can see the inside nougat topped with caramel and peanuts. But thankfully most of the candy made it to the top of these Snickers cookie bars. 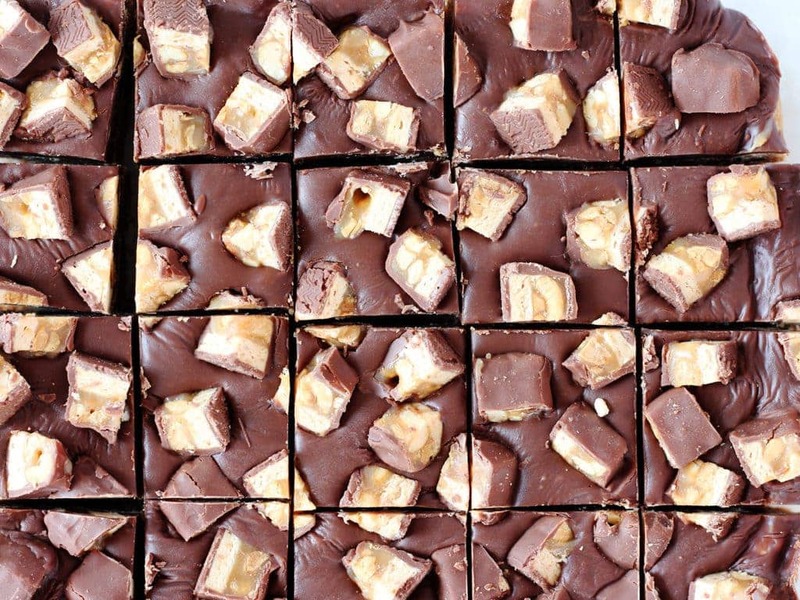 The smooth fudge welcomed the candy pieces into its layer of chocolatey goodness, which now has surprises of crunchy texture thanks to the Snickers.. These bars really are layers of love… homemade chocolate chip cookies baked and topped with homemade fudge then sprinkled with one of my favorite candies, Snickers. Biting into one of them creates a sensation of toothachingly sweet flavors. You really only need two or three bites to satisfy your sweet tooth! 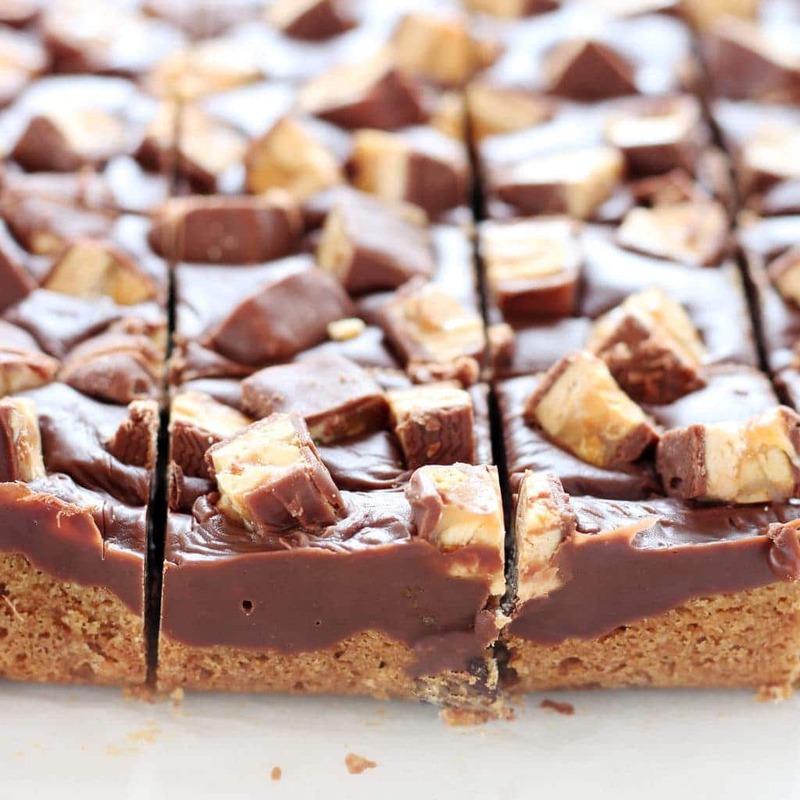 The Snickers cookie bars recipe makes about 25 two-by-two-inch bars from a 9×9 baking pan. If you’re serving a crowd, the recipe doubles easily and can be made in a 9×13 baking dish. If you’re feeling creative, try sprinkling other types of candy on top (Kit Kats or Twix perhaps?) Enjoy! Preheat oven to 350° F. Line a 9x9 baking pan with parchment paper, spray with nonstick spray and set aside. In the bowl of a stand mixer fitted with a paddle attachment, beat on medium speed the butter, brown sugar and granulated sugar until light and fluffy, about four minutes. Scrape down the sides of the bowl when necessary. Add the egg and vanilla. Beat until combined, 20 to 30 seconds. With the mixer on low, slowly add the flour mixture to the dough. Careful not to over beat. With a wooden spoon or rubber spatula, stir in the chocolate chips by hand. Scoop cookie dough into prepared baking dish. Press and disperse until the bottom of the pan is covered. Bake for about 15 minutes or until the edges start to turn golden and the center is set. Remove and cool slightly. In a microwave safe bowl, stir together sweetened condensed milk with chocolate morsels. Heat in 20 second intervals on medium power level, stir, and heat an additional 20 seconds. Continue until smooth and creamy. (It's okay if a few of the chocolate chips aren't melted all the way). Spread evenly over baked cookie bars. Immediately sprinkle with chopped Snickers bars. Refrigerate for 2 hours (or overnight) until the fudge layer is set. Cut into squares and store in an airtight container for up to a week. *Alternatively, you can use store bought cookie dough for this layer. I suggest using about 16 ounces (about two cups). **Or 12 fun-sized Snickers bars, chopped. Yum! 2 of my favorite things in one bite 🙂 Can’t wait to try these! Snickers is one of my favorite candy bars, but I have to admit, I’ve never *made* anything with them because they usually just go directly into my mouth as is. I’ll have to make a concerted effort to put some aside to make these cookie bars because they look BEYOND amazing!